With the NBA playoffs starting tomorrow, you'll probably notice the absence of LeBron James and the Los Angeles Lakers. Despite being ranked fourth in the Western Conference at Christmas, the team quickly slipped down the standings, all the way into tenth place. One of the theories as to why this happened is because of the lack of chemistry that was created when rumors of an Anthony Davis trade to the Lakers, plagued the team's young stars. Kentavious Caldwell-Pope is one of the players on the team who believes this to be true. "At the trade deadline, everybody kind of lost themselves," Caldwell-Pope said, via ESPN. "That's all they were worried about. … And I feel like after that, everybody kind of relaxed calmed down and just started playing basketball and not worrying about the outside talk." 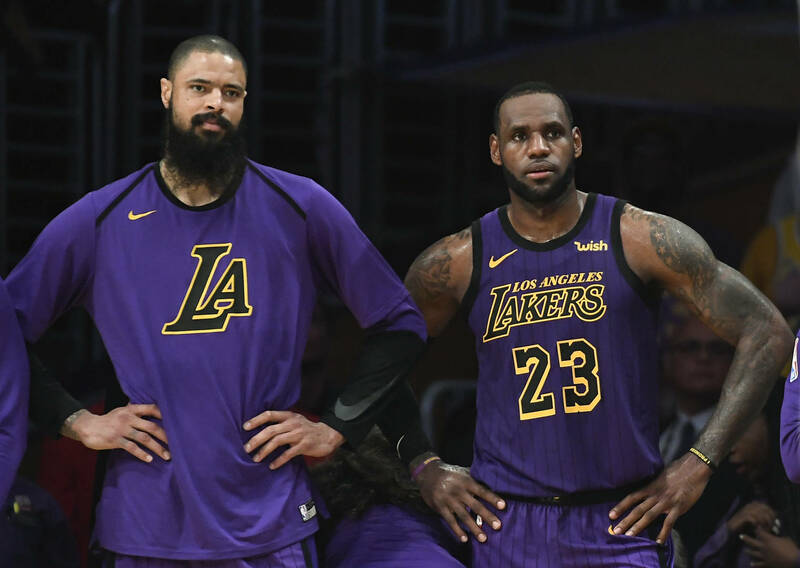 Tyson Chandler also commented on the team's play this season, saying a lot of it could be chalked up to the fact that the team wasn't healthy. The Lakers finished the season with a record of 37-45 and finished 10th in the Western Conference.